The most work permit applications must accompany a valid job offer from an eligible employer. For Canada immigration as a temporal foreign worker, there is a need for you to get a work permit. There are varieties of work permits. If you are not a permanent resident or Canadian citizen; you will require a work permit to be able to legally work in Canada. Generally, you will have to apply for a work permit from Immigration, Refugees and Citizenship Canada (IRCC) before you enter Canada. To apply for a work permit, there is a need for you to get a job offer from a Canadian employer. The employer is required to request for a Labor Market Impact Assessment (LMIA) from Employment and Social Development Canada (ESDC). The duty of the ESDC is to determine whether the employer can’t find Canadian permanent resident or a Citizen fill the job. Job permits vary with different types of workers. For instance, there are special work permit programs for caregivers, seasonal agricultural workers and business people. Our professional, expert, knowledgeable counsels are ready to assist you if you need more details. 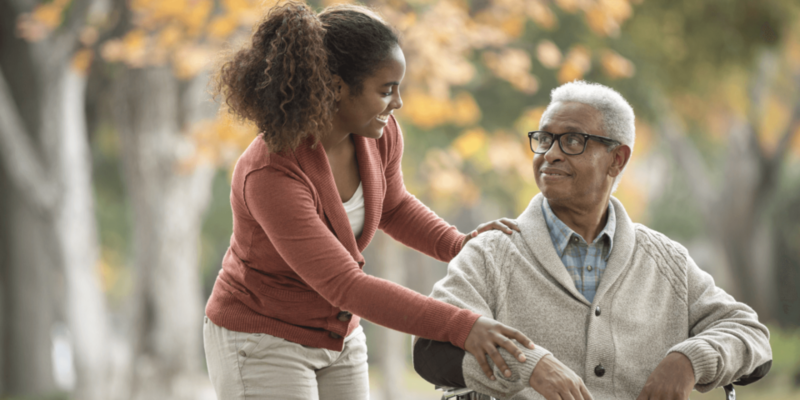 Caregivers are individuals who meet certain requirements of qualification to provide services such as Caring for children, Caring for people with high medical needs, Live-in Caregivers. There is no requirement for LIC to live in private homes where they work in Canada anymore. The employers and caregivers must follow several steps to meet the requirements of the Caregiver Program (LCP) If you would want to be hired as a Caregiver in one of the caregiver programs your Employer must secure an LMIA. Once the employer is given the permission to hire a Caregiver by ESDC the future employer must provide a written job offer contract to IRCC along with all other necessary documentation. To become eligible as a Caregiver you must have: Equivalent of Canadian secondary school education as a minimum. At least 6 months related training in a class room or one year of full-time paid work experience as a caregiver (6 months continuous with same employer) in the past three years. Working knowledge of English or French to communicate in an unsupervised setting. Apply for and receive a work permit as a Caregiver in any care giver program. If you have a future employer in Canada and have LIMA validated job offer CIIS’s expert immigration advisors can help you get your work permit. The activity must be farm primary agriculture related. International Experience Canada (IEC) gives an opportunity for youths to travel and work in Canada. To participate, the country of your citizenship must have an agreement that allows you to apply for an IEC work permit with Canada. Fund your vacation using temporary work in Canada. The work part of your journey allows you to earn money in order to fund your travels during your stay. It is an important way to afford side trips, other accommodations and excursions while you are in Canada. Gaining Canadian professional work experience will better assist you to compete globally. Increase the horizon of your career by partnering with teams from various cultural backgrounds, learning another language, experiencing a different country and learning new approaches to manage businesses. Gain overseas work experience related to your study field. The International Co-op Internship is established for students who plan to complete an internship or work placement in Canada in an attempt to finishing their academic curriculum. There are some basic requirements you need to meet to fit in as Canada immigrant, which includes a valid travel document (passport), sound health status, ability to convince an immigration officer that you possess ties (like job, home, financial assets or family that can take you back to your home country), ability to convince the immigration officer that you have the capacity of leaving Canada after your visit, and have enough funds for your stay. There can be a variation in the amount of funds you will need, which depends on the length of time of your visit, and your proposed place of residence. A letter of invitation from someone who already resides in Canada may also be required. How does the LMIA process work? In most cases, provided that a Canadian employer would wish to employ a temporary foreign worker (TFW) to work in Canada, such employer must tender a Labor Market Impact Assessment (LMIA) application to Employment and Social Development Canada (ESDC)/Service Canada. The major purpose of the LMIA is to evaluate the possible effect of hiring the TFW into a Canadian labor market. If the response of the LMIA is positive, then the TFW can request Immigration, Refugees and Citizenship Canada (IRCC) for a work permit/ work visa. How easy to get an LMIA? The LMIA process is initiated when an employer provides a TFW a job offer since there is no suitable Canadian citizen or permanent resident for the position. The requirements for obtaining a positive LMIA are tedious and the employer must be ready to adhere with all the terms set forth by the ESDC/Service Canada. Employers should also be ready to provide answers to questions about the process of recruitment; if the job offer is real and if they were denied a LMIA previously, the impact it makes to Canadian labor market. The LMIA was earlier known as a Labor Market Opinion (LMO). TFWs should also be ready to provide IRCC to show that they have the required qualifications for the position that is offered to them. There are some skilled foreign workers that are professionally qualified to access Express Entry for immigrating to Canada. A Labor Market Impact Assessment, or LMIA supported job offer can only bring you enough points to receive an ITA in Express Entry. This process must be done by a Canadian employer who considers a foreign worker desirable due to the fact that there is no available Canadian worker to fill the work force. This Multi-staged process is an essential part of the complex Canada immigration process. To further complicate the process a potential employer may not have required experience and knowledge of performing majority of these steps which are needed to complete the LMIA application process. That’s why the applicants need to consult an ICCRC authorized knowledgeable Canadian immigration consultant for representing you to ESDC and IRCC. Sometimes, potential TFW may rely on their employer to commence work for an LMIA. CIIS’s knowledgeable LMIA expert consultant understands how this process is being done for both the employer and applicant. CIIS’s ICCRC licensed immigrationconsultant will make sure that the applicant is aware of the rigorous process before an LMIA can be issued. Without the help of an ICCRC authorized expert Immigration consultant, the process of the application can be frustrating and may end up in failure. Why use a licensed Canadian immigration professional for obtaining a LMIA? There are many stages involved in getting a positive LMIA from ESDC and a work permit from the IRCC for the TFW. Abusing the program is not accepted and the TFW as well as the employer has their own different duties. Our professionals can assist employers through the process of LMIA or help the TFW in obtaining a work permit. We have lots of experience during our work with various employers that operate globally, nationally and locally. At the same time, we have worked with numerous TFWs at all stages of their immigration to Canada as Temporary Foreign Worker.